Article by Michael Raymond. Edited by Ellie Veryard. Additional Research by Ellie Veryard. Most people have probably never heard of the South Cumbrian region of Furness, it now being a quiet and forgotten corner of a county much better known for the Lake District. This was not always the case, for in the nineteenth century Furness was famous for its Iron production; the largest local town Barrow-in-Furness being home to the largest steel works in the world, during the 1870s. However, this was not the only time in which Furness was a rich and prosperous region. During the Middle Ages it was home to the second wealthiest monastery in Britain, only the more renowned Fountains Abbey surpassed it. The story, however of this largely forgotten Abbey is one of piracy, warfare, industry, political intrigue, and immense wealth. It is one that deserves to be told. The Abbey was founded in the 1120s by Count Stephen of Boulogne and Mortain (later King Stephen of England), in the mystical and brilliantly named Vale of Deadly Nightshade. It belonged to the Cistercian order, and its mother house was the Abbey of Savigny, located on the borders of Normandy and Maine, in Northern France. Between its foundation and its dissolution in 1537, the abbey acquired immense amounts of wealth and power. It was the first abbey to be established north of the Mersey and west of the Pennines and owned a staggering 55,000 acres of land (in comparison, the current alpine state of Lichtenstein comprises of roughly 39,000 acres). The abbey’s estates and influence covered vast areas of modern day Cumbria, Lancashire, Yorkshire, Ireland and the Isle of Mann, which the abbey held considerable power and influence over. Indeed, King Olaf of the Isle of Mann in 1134, allowed Furness Abbey to establish a sister house on the island, as well as the right to appoint the bishops of Mann. Later King Reginald of Mann was also buried at the abbey. As well as agriculture, the abbey became involved in a wide variety of activities. They built bridges and dykes to make travel easier and to drain the land. They were by far the largest employers within the area and were involved in building ships and exporting wool and Iron. The Iron industry was particularly complex, involving many stages including smelting, mining and the creation of charcoal, which was carried out in the vast woods and forests to the north of the abbey. Attached to the establishment was a grammar and a song school, helping to supplant a degree of culture into the local area. 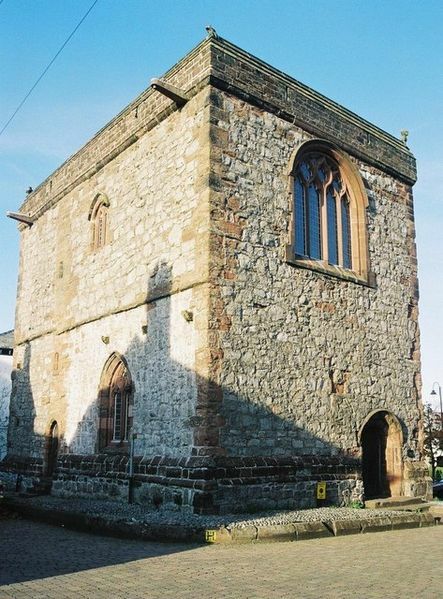 The abbey also became the main administer of justice across south Cumbria, it owning a courthouse in Dalton in Furness, as well as Hawkshead (a village in between Coniston and Windermere, some 20 miles north of the abbey). In effect Furness Abbey was at the centre, certainly of the South Cumbrian community, if not a much wider area and the level of independence and power the abbey wielded was huge. However, not everything the abbey dealt with was legitimate. As well as providing rest and charity for the poor and looking after the sick, Furness became a centre for piracy. At a time when the seas were the main highways, it was ideally located on the edge of Morecombe Bay and the Irish Sea, far away the king’s customs men. 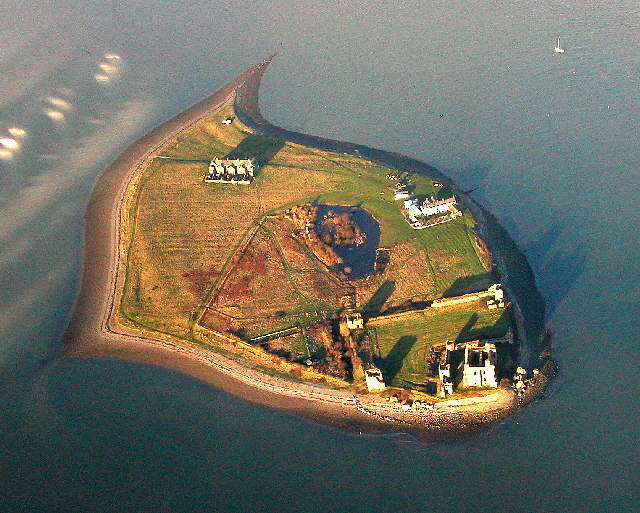 The abbey built a castle on Piel Island by fortifying a current building in 1327 to act as a fortified warehouse in order to protect provisions; however by the 14th century it had become renowned for piracy, the port of Calais having petitioned the king in 1347 about the abbey importing wool into Zealand without having paid duty. The abbey also saw political turmoil in the early 14th century in the form of Scottish raids conducted by Robert the Bruce. The Scots raided in 1316 and again in what became known as the Great Raid of 1322. During this second raid the abbot was forced to pay £10,000, roughly equivalent to £1.5 million in today’s money, just for the Scottish king to stay the night and leave the monastery in peace, though much of the surrounding lands were plundered, including nearby Cartmel Priory. In another curious episode documented in the Coucher Book, three monks plotted and murdered the abbot in the hope that one of them would become abbot in his place, though the document then describes their flight following the crime. Furthermore in 1427, Lambert Simnel a boy whose supporters claimed him to be Earl of Warwick and rightful heir to the throne, invaded nearby Walney Island with some 2000 mercenaries, after a coronation ceremony in Dublin. He proceeded to invade Yorkshire, though gained little support and was defeated at the battle of Stoke Field near Newark. Clearly the abbey saw its fair share of violence in its time, despite its relatively remote positioning. Despite the lack of information on the matter there can be little doubt that the abbey suffered greatly from the Black Death, accounts showing high death rates across ancient Lancashire. The abbey never truly recovered from the financial crash caused by the plague and was never to be as powerful again. The final blow was dealt on the 9th April 1537, when the monastery was formally dissolved after the command of Henry VIII. The Deed of Surrender was signed in the Chapter House with Rodger Pele the last abbot, 28 monks and 8 others including two knights and a priest, bearing witness. This was the end to an extraordinary history of an abbey which during its roughly 410 year history had effectively ruled a part of the British Isles. 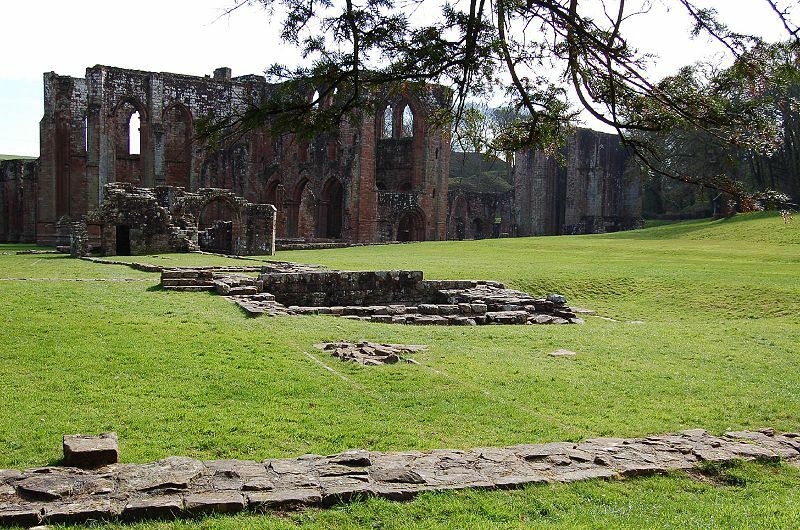 Despite this, today the abbey is virtually unknown, it being tucked into a now remote part of the UK away from the tourist honey pot of the Lake District; however this arguably is now its greatest strength. Hidden away in its fantastically named valley, it sits only a few hundred yards away from the main road through the area, and only a mile away from Furness Hospital and the sprawl of modern day Barrow. The irony is that this once economic and political powerhouse, a centre of activity for the entire north-west, is now only a centre of tranquillity, give or take the occasional school trip or weekend rave. In its time Furness Abbey controlled, though not always without dispute, the abbeys of Byland, Calder, Inch, Rushen and Swineshead. Alongside it’s administration of Dalton, the Castle at Dalton allowed the monks to protect the market town. Furness Abbey is reputedly haunted by three main ghosts; the murdered monk, often seen climbing a staircase, a squire’s daughter and her lover and a headless monk. Popular myth also states that Piel Castle and Furness Abbey are linked by a hidden tunnel. English Heritage currently own the Abbey ruins and are undertaking major conservation work to support them; the ruins appear to be sinking as timber in the foundations is giving way. Recent excavations at the site have uncovered a treasure hoard in the grave of one medieval abbot.